Toyota is looking forward to cut down full time employees in the whole of North America as well as United States, according to a trusted source within the company. 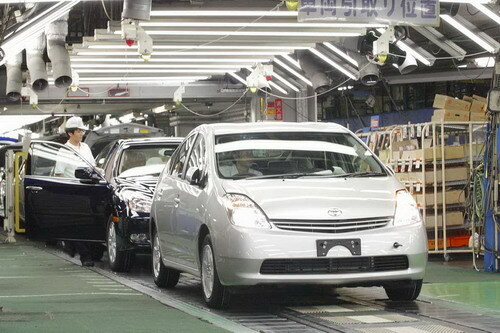 Toyota is also cutting down production taking the global economic crisis in the world and are also getting ready for the first ever loss in the year that ends on March 31st. The sales in United States fell by more than 37%. Nikkei, a Japanese Daily reported that Toyota is looking to cut as much as 1000 full time jobs in North America as well as UK. More and more people have stopped buying cars in order to deal with the cost cutting pressures. Toyota, for the first time has considered cutting the staff that is beyond the temporary employees; however the plan has not been sent out to the public yet. We shall see the final decision on the job reductions as well as the pay cuts in the early next week. The company is also planning to come forward with several retirement programs as well as other voluntary programs since it doesn’t want to make any involuntary cuts. It is known that Toyota has avoided the cost cutting process for a long time now, but the business situations are such that it has to take such decisions after the Asian economic crisis.